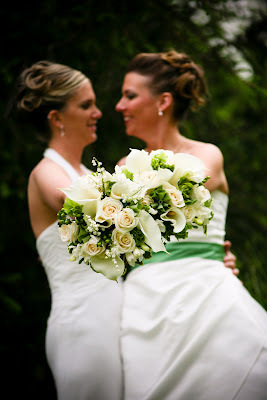 Jenny and Katie were an absolute pleasure to work with. 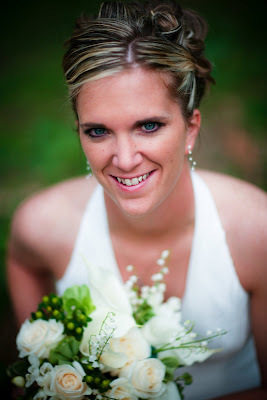 Here are some photos of their May wedding. 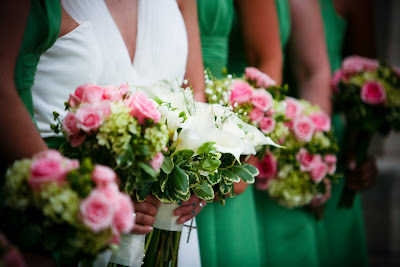 Their colors were apple green and pink. 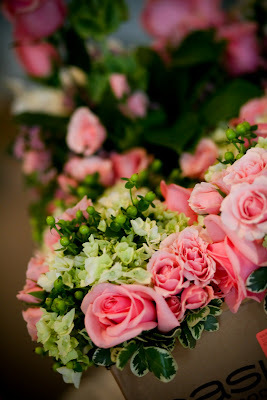 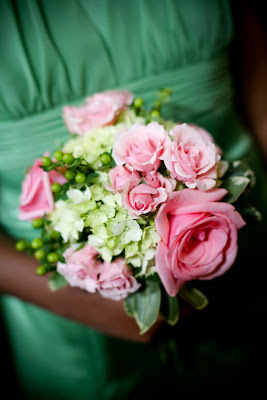 We did very garden-y mixed bouquets for the ceremony and accented the same flowers and colors at the reception. 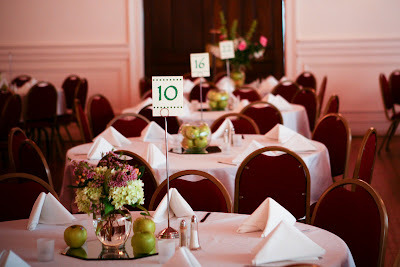 Photos by Kelly Manno. 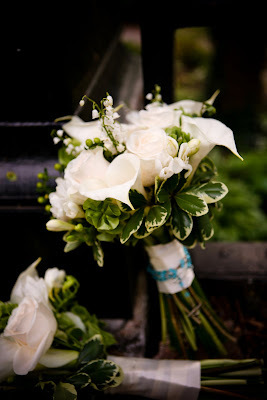 The bridal bouquets were similar,except for lily of the valley, which was added as a special touch in one of the bouquets. 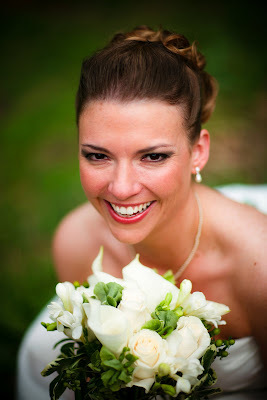 Both bouquets included bells of Ireland, calla lilies, freesia, and roses. 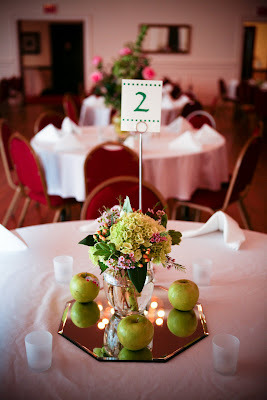 At the reception the “apple green” accent color literally transformed to apples. 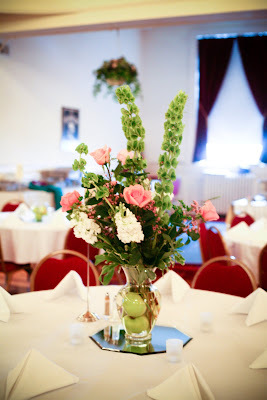 Fruit was added to the other wedding flowers to create fresh-looking, spring table arrangements. 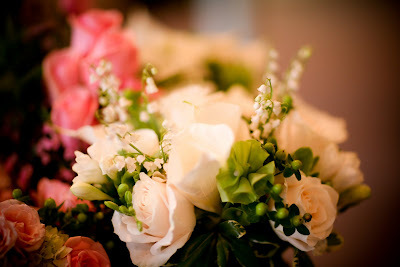 Special thanks to Sabrina from Proposing Dreams for coordinating such a lovely event.